Every Thursday, Friday and Saturday between 5-9pm. Local craft beer on tap. 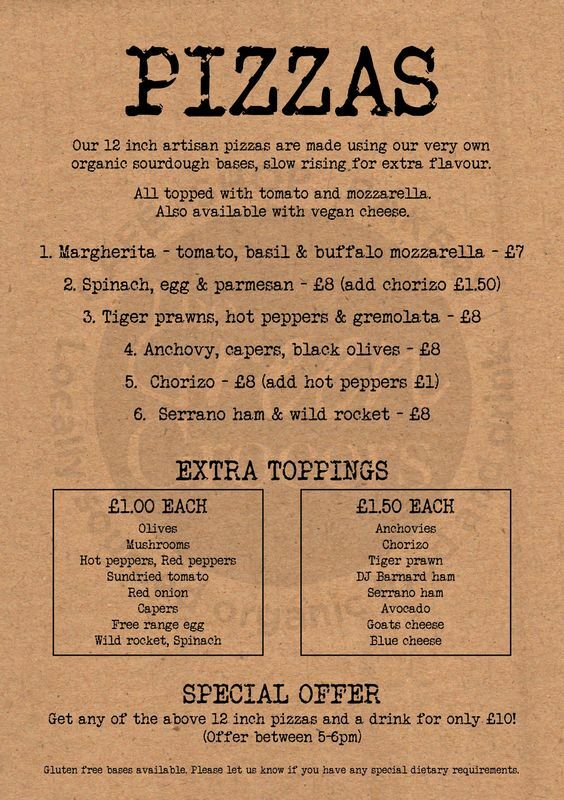 Special offer between 5-6pm pizza and a drink for £10. Tables book up fast so we recommend you book in advance.